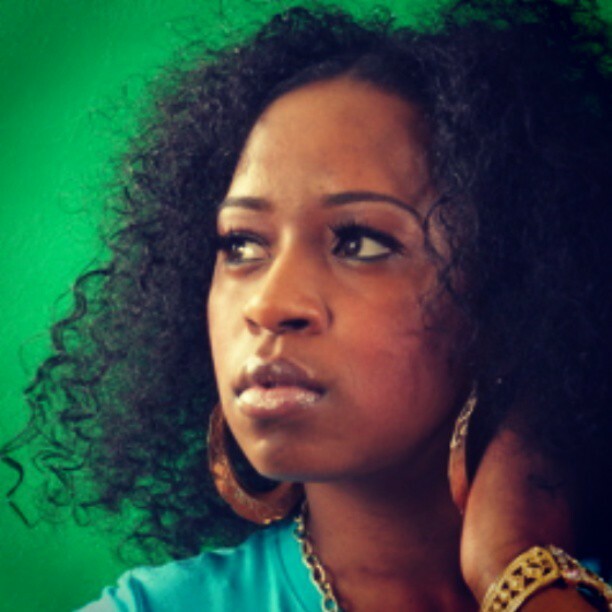 When most inner city girls are growing wide eyed over their first pre-pubescent crush, Jersey City’s J SASS was giving her heart to the art of Hip Hop. Penning her first rhyme at the age of twelve, she knew that her youth might be the cause of Hip Hop not giving her a second look. As with most relationships though, she was wise enough to know that she would need time to learn the ways of her new love, understand how to say the things that made it smile, that moved its soul. Taking her cues from artists like Salt N Peppa, MC Lyte, and fellow Jersey MC’s Queen Latifah and Nicky D, she honed in on the craft of writing and became confident that her first love would soon love her back. Growing up in the concrete jungle of Jersey City, J SASS was no stranger to the hard work it took to get exactly what she wanted. Becoming Hip Hop’s favorite lady was no different. “I knew I had to step up my game if I wanted to make a mark in Hip Hop and I was so overcome by the feeling that there was nothing that could stop me: notes The Queen of Jersey…a moniker dubbed J SASS by her scores of fans and always impresses media personalities. Fast forward to 2013 and the love affair has grown by leaps and bounds. 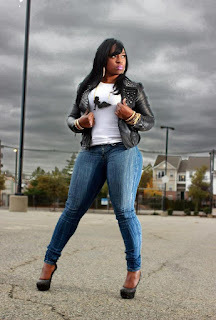 SASS gives Hip Hop her emotion, her stories and her voice and Hip Hop returns the love by giving her a worldwide platform on which to perform. The multi-talented artist has parlayed her reach and fan base into stints in modeling and acting. Creating videos that tell a story to staring in the soon to be released independent film SAMOT, J SASS has taken her love for Hip Hop and made it tangible. It is a love that her fans can feel each time she picks up the mic. It is a love that oozes from her when she performs and can be heard through the speakers whether she is delving into thoughts on beats about domestic violence or boding anyone who tests her skills on wax. The young woman with a love for Hip Hop has performed in a myriad of arenas throughout the tri-state area and is extending her fan base day by day. She gives life to the mothers, daughters, sisters and wives who share their love of family with their love of Hip Hop. 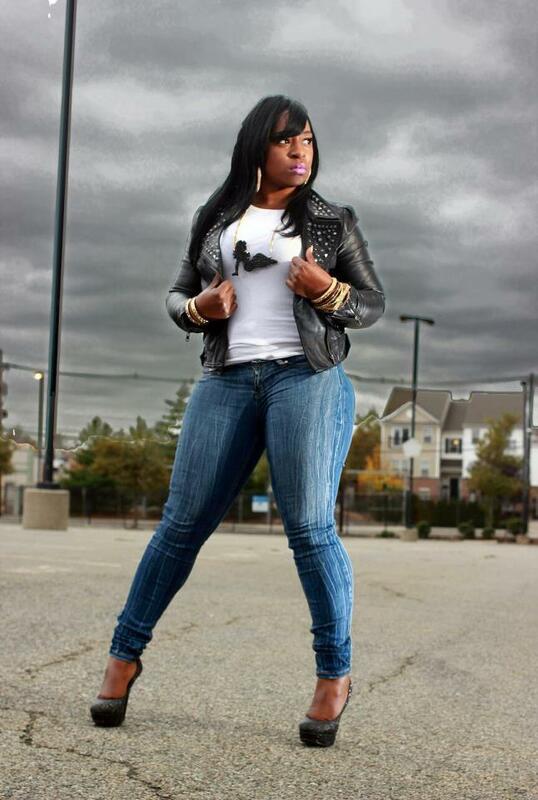 J SASS is an ambassador to her city and a proud mom of a young man whose delights in his mom’s gifts and shares her love for Hip Hop. J SASS WOW I AM THANKFUL & GRATEFUL TO FINALLY BE GETTING A LO T OF LOVE & RESPECT . J SASS WHAT SETS ME A SIDE FROM THE OTHER NEW FACES IS THAT I AM DOING THIS INDEPENDENT . I MANAGE MYSELF, I'M A FULL TIME MOM , I HOLD A FULL TIME JOB & FULL TIME ARTIST WHO ACTS , MODEL & SUPPORT MY COMMUNITY OF JERSEY CITY . 3375 What is the best constructive criticism you have got thus far that you are currently working on as a new artist? J SASS MY BEST CONSTRUCTIVE CRITICISM THUS FAR HAS TO BE MY SKIN . I RECENTLY SHOT A VIDEO & I HAD A BREAK OUT ON MY CHIN. SO MANY PEOPLE SAID THAT I SHOULD NEVER GET ON CAMERA LIKE THAT AGAIN . SO FOR THE PAST 3 WEEKS I BEEN WORKING HARD ON KEEPING MY SKIN CAMERA READY AT ALL TIMES . ANOTHER IS TO CONTINUED WRITING PAIN MUSIC, FOR SOME REASON PEOPLE LOVE WHEN I JUST SPEAK FROM MY PAIN & HEART. J SASS I FEEL THAT IT SHOULD BE MUCH MORE ON THE RADIO . I ENJOY MUSIC SO I LOVED TO INSPIRED BY OTHERS . I AM ALWAYS PROUD TO HEAR OR SEE OTHER FEMALE MC'S DOING THEY THING !!! J SASS I ENJOY RHYMING BECAUSE IT HELPS ME EXPRESS MYSELF. I USE IT AS THERAPY THE GOOD & BAD THINGS THAT HAPPENS IN LIFE . AND LAST BUT NOT LEAST I'M VERY GOOD AT IT LOL. 3375 Where do you draw your inspiration when it comes to writing your lyrics? J SASS I DRAW MY INSPIRATION FROM THE VIBE OR MOOD I'M IN AT THAT MOMENT. NOW IF I HAVE TO WRITE TO A TOPIC THEN I TRY TO FREE STYLE UNTIL I HIT A FLOW I LIKE THEN I FILL IN THE WORDS AS I GO ALONG. SOMETIMES I CAN COMPLETE A SONG QUICKLY & SOMETIMES IT TAKES ME DAYS TO FINISH WRITING IF I DON'T GET DISTRACTED. 3375 If you could perform in anywhere where would it be? And why? J SASS IF I COULD PERFORM ANYWHERE IT WOULD BE NEW YORK CITY'S MADISON SQUARE GARDEN BECAUSE YOU HAVEN'T MADE IT BIG UNTIL YOU HIT THAT BIG STAGE. THAT WOULD BE A HONOR !! 3375 What has been your biggest career achievement this far? 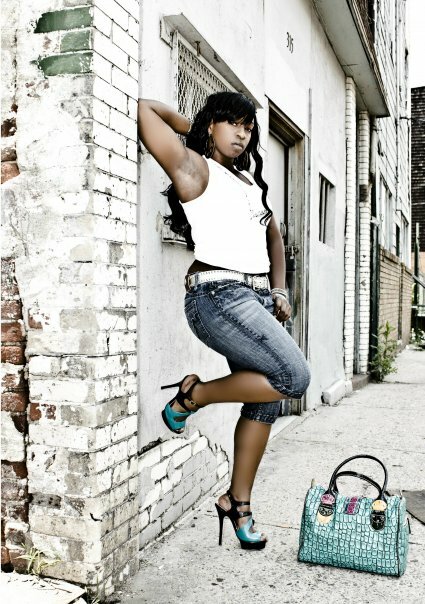 J SASS WOW FROM BEING JERSEY CITIES OWN QUEEN TO BEING NAMED QUEEN OF THE ARENA IN 2012 & NOW EAST COAST DIVA IN 2013 . I AM VERY EXCITED OF WHAT'S NEXT FOR MY CAREER . SKY IS THE LIMIT !!! J SASS YES I DO FIRST I WOULD LIKE TO THANK YOU FOR GIVING ME THIS OPPORTUNITY. THANK YOU FOR CHOPPING IT UP ME. ( GREATLY APPRECIATED) ALSO I WOULD LIKE TO SHOUT OUT MY CITY SATE JERSEY CITY, NEW JERSEY ..... MY PR KHALIA FOR CONNECTING ME WITH YOU GUYS. SHOUT TO ALL MY SUPPORTERS & FANS THANK U VERY MUCH FOR ROCKING WITH ME SO MUCH MORE TO COME.